The Harvard Film Archive’s cinematheque presents films Friday through Monday nights year round. Open to the public, all screenings are held in the Archive's 200-seat theater featuring state-of-the-art film and digital projection located in the historic Carpenter Center for the Arts. The HFA frequently invites filmmakers to discuss their work and engage with the vibrant community of students, professors, artists and cinephiles who regularly attend Archive screenings. Recent visitors include the legendary comedienne and director Elaine May (The Heartbreak Kid), American documentary pioneer Fred Wiseman (High School, Public Housing), Korean filmmaker Hong Sangsoo (Oki’s Movie), experimental documentarians Ben Rivers (Ah, Liberty!, Origin of the Species) and Sharon Lockhart (Lunch Break, Double Tide), Chilean filmmaker Pablo Larraín (No, Tony Manero), Philippine director Kidlat Tahimik (The Perfumed Nightmare), as well as avant-garde filmmakers Nathaniel Dorsky, Luther Price, Bruce McClure and George Kuchar. Some of the HFA's recent programs include retrospectives of the work of Fritz Lang, Nelson Pereira dos Santos, Michaelangelo Antonioni, Raj Kapoor, Val Lewton and Andrei Tarkovsky, as well as surveys such as 100 Years of Paramount Pictures, Decadent Shadows: The Cinema of Weimar Germany and Fortunes of the Western. HFA programs dating back to 1999 are browsable on our Past Film Series page, and many of the visiting filmmaker discussions are available as audio files located beneath the program descriptions. 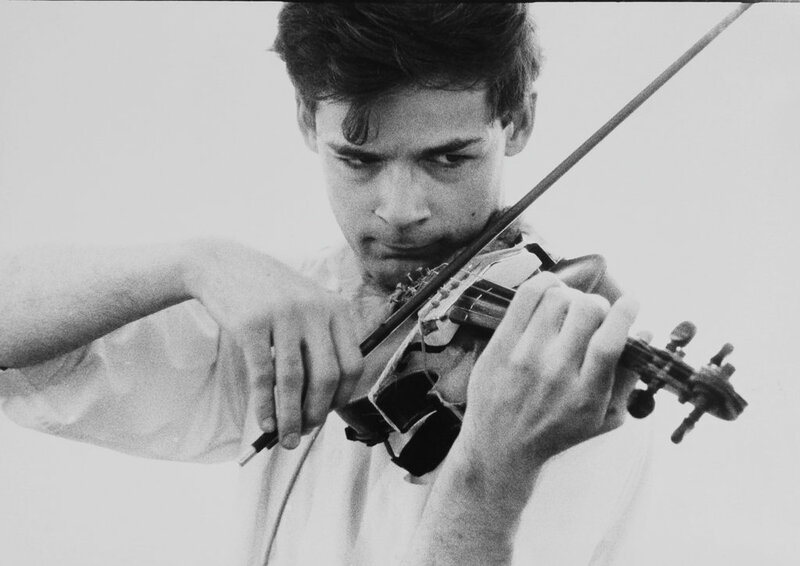 Throughout his six-decade career, Tony Conrad (1940–2016) forged his own path through numerous artistic movements, from Fluxus to the Pictures Generation and beyond. Conrad, a 1962 graduate of Harvard University, made visits to both Harvard and MIT over the years to present his work, and he had formative experiences at both universities.